With all the excitement over picking out your SUP, paddle, and other gear, storage of your paddleboard is often neglected. If you’re used to surfing or other board sports, then transporting or storing your board might be as simple as throwing it in the trunk or standing it up in the corner of your room. However, because of their size, storing and transporting your SUP is a whole different beast. Additionally, with most SUPs costing $1000 or more, there is serious incentive to protect your investment and have proper storage and transportation methods in place. 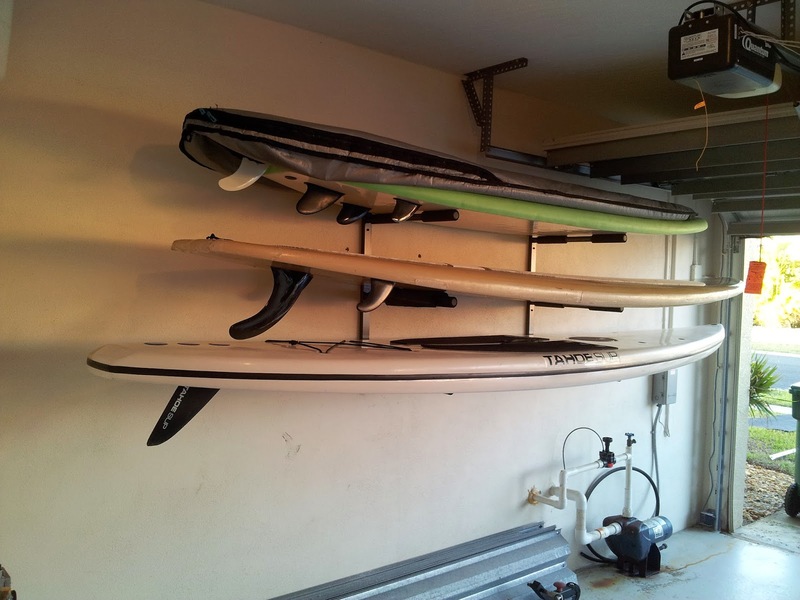 Fortunately, there are a wide variety of paddleboard racks and storage options available on StoreYourBoard that will let you easily and safely store your SUP. Below is a breakdown of the different types of wall racks we carry. Check out other breakdowns of our (1) SUP ceiling racks, (2) freestanding SUP racks, (3) SUP car racks and (4) SUP transport - SUP wheels. Paddleboard wall racks are probably the most ubiquitous and diverse set of racks for SUP storage. When most people think “SUP rack,” the image that pops into their mind is most likely a wall rack. Wall racks are great because they make it easy to load and unload your SUP. This is especially important if you are going to be racking and removing your SUP board by yourself or if you are always going to have someone to help you. Wall racks give you the flexibility to mount as high or as low as you need on the wall in order to make it more accessible for you. Single board and multi-board options (up to three paddleboards per rack). Plastic to wood to stainless steel construction materials. SUP wall racks with attached paddle holders. Some of wall racks are oriented more towards display and showing off your board while some other racks are more utilitarian in trying to be as space efficient as possible.